These reviews are about the experience of others who have used COELAN. It is helpful that you read them and learn what others have to say about the product. For further information, please read what the press has written about COELAN. You can also find useful tips in "Tips & Tricks" or "User Hits & Tips". I found many positive reviews about Cealan boat coating. So I decided to use it on my teak and fir rails almost 7 years ago. Although expensive, it’s worth the price! Coelan is the best value you can get. I applied Coelan on the surface area in 1999 and have not had to renew it ever since. First of all, and like for any other coated surface, preparation is everything. Be aware; it will make a difference if you use a coating that will not last longer than 2 years. That is why a correct preparation makes for a long lasting coating like Coelan. But let me give you my review. Absolute long lasting, even after 11 years it still looks good. Great cost saving because I saved having to recoat. Less work and more time for sailing. Sealing hair cracks I had and consequently some leaking problems. Since applying Coelan, it is no longer leaking. Is not available everywhere. You can get it only in good Marine Stores. My neighbor decided on Coelan last year but still did not get it in Marine Max or James Town. Better availability would be desirable. After ten years it has lost a little bit of gloss. But Manufacturer gives instruction how do bring it back to the new look. Coelan Paint is a great product for everyone who is looking for a long lasting protection or someone who has problems with a leaking deck. But I recommend following the manufactures instructions to gain the desired results. A good preparation is essential. Coelan is getting a clear YES must buy from me! 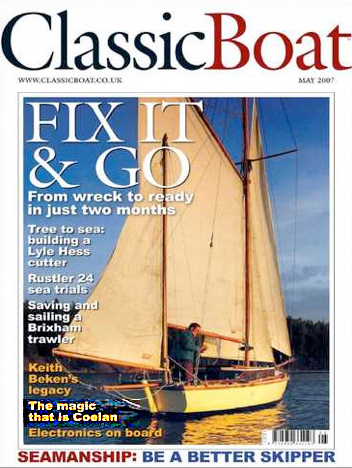 It has consistently come out best in long-term tests in magazines like 'Practical Boat Owner'. This marine paint is the best. First I hesitated because it is quite pricey. But then I found that it will be a great saving; I did not have to do renew my varnish every second year. Have had Coelan on for 6 years now and saved a lot of time and money. Great staff! 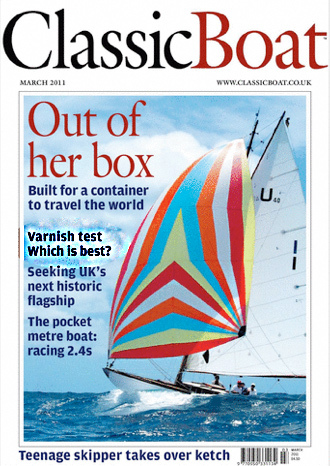 A friend of mine has been using Cealan for years on his Halberg Racy. He swears by it. So I decided to use it on my teak deck. I also talked to the importer Premapro who gave me good advice. It really has a fantastic look. I was fearful that it might be slippery, but is the perfect coating to walk on! The coating is worth investing in! All COELAN applications that I have seen look fantastic! It’s popular in Europe and you find it on cruise ships. Unfortunately I could not find it at West Marine or James Town. But more specialized shops and boat yards have it.